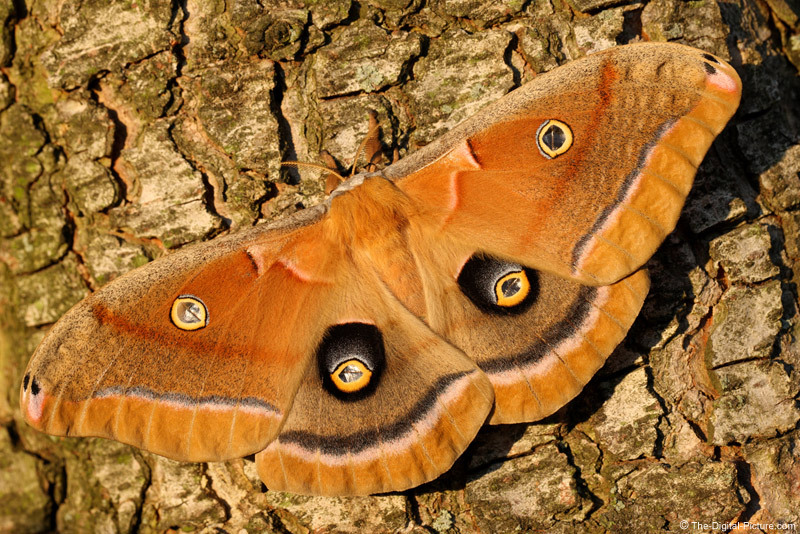 The Polyphemus Moth is very beautiful - especially when they are just out of their cocoon. This Polyphemus Moth has not taken its first flight yet, and with perfect wings, required almost no post processing. Light is from a setting sun. This shot made great use of the Canon EF 100mm f/2.8 L IS USM Lens' image stabilization. IS helped me frame the shot precisely, tightly and kept the shot sharp at 1/50 sec. The camera position is such that the entire length of wings falls into the plane of sharp focus.